Some time in the 70s, Israeli engineers built the headquarters of Iran Air. At the time, Israel and Iran, under Shah Mohammad Reza Pahlavi, had friendly relations. 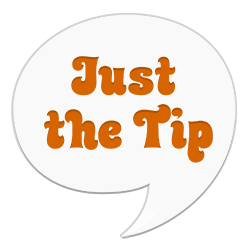 In 1979, however, the Shah was overthrown and the new Islamic republic of Iran severed all ties with Israel. 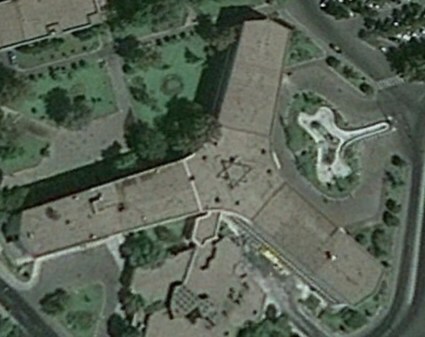 Now, satellite imagery has revealed a hidden but quite clear Star of David, a symbol of Judaism, on the building’s roof. You can even see it for yourself right on Google Maps. It’s not clear just what comprises this shape, but it seems impossible that it wasn’t intentional. If so, some Israeli builders have had themselves a three-decades-long laugh.